Home / Unlabelled / 10 Local Mother Tongues That Have Gone Extinct in Nigeria. 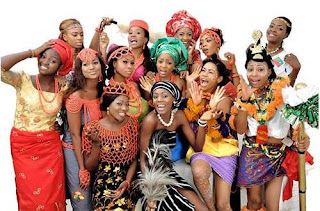 10 Local Mother Tongues That Have Gone Extinct in Nigeria. 10 Local Mother Tongues, you will never get into hear. Nigeria has over 500 indigenous languages. Few of us know up to 10. We are all familiar with the popular ones, Hausa, Yoruba, Igbo, Efik, Ibibio, Edo etc, but the vast majority of our languages, we have not even heard of and some we will never hear of. Here are 10 Nigerian languages you will never get to hear, because nobody speaks them anymore. Ajawa used to be spoken in Bauchi State. It is a Afro-Asiatic language. It became extinct sometime around 1920 and 1940 as the native speakers adopted Hausa. Basa-Gumna was used in Chanchaga part of Niger state, and also near the Basa homeland of Nasarawa. It was a Kainji language. It died when the native speakers chose to speak Hausa instead. Auyokawa used to be spoken in Jigawa State. It was an Afro-Asiatic language. Gamo (Buta) and Ningi was a Kainji dialect cluster in Bauchi state, with a population of about 15,000. Holma or Da Holmaci, formerly spoken in Adamawa State is an extinct Afro-Asiatic language. It died as its native speakers chose to speak Fulfulde. Kubi was an Afro-Asiatic language formerly spoken in Bauchi State. The Members of the ethnic group have a population of about 1,500. They now speak Hausa. Kpati was formerly spoken in Taraba State. It was a Grassfields language. Mawa which is different from another language in Chad also known as Mawa, is also extinct. It was however never really proven to be a language of Nigeria. Odut used to be spoken in Odukpani area of Cross River State.